Want to learn a lot in a short period of time? 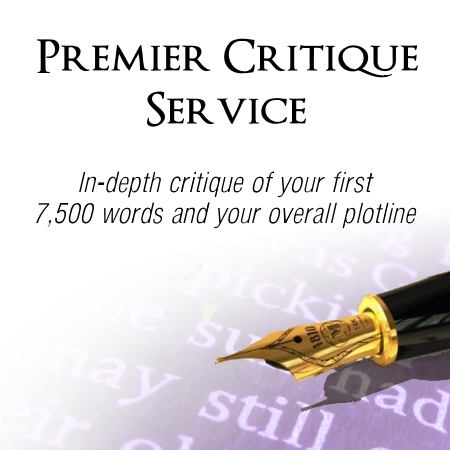 Choose the Premier Critique Service for an in-depth critique of your first 7,500 words and your overall plot line. (Must include a chapter-by-chapter outline, including plot points, with the first 7,500 words of the double-spaced manuscript.) If you are new to writing and you have just completed your first book, this is the best service to choose as your first contact. Scroll down to read more about this service and how it differs from my other listed services. How does the Premier Critique differ from your other services? The Premier Critique differs from the Choose Your Word Count Critique and the Sample Rewrite. With the Premier Critique, I am not rewriting your sample. 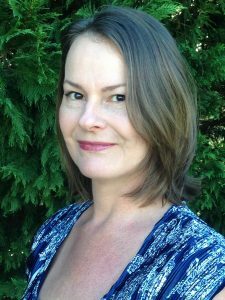 I am evaluating your sample, along with the chapter by chapter outline and plot line, to highlight your areas of weakness. I write notes on what needs to be strengthened where, but I do not rewrite those areas for you. However, I do offer samples of what may work better in those areas. After you have had the Premier Critique, if you want to have more of your novel evaluated, please select the Choose Your Word Count service. The Choose Your Word Count service is a great option to use when you want ongoing critique sessions with me. You are in control. You can choose how many pages you want critiqued and which sections of your book you want evaluated. But if you want your overall plot line included in the critique, please first select the Premier Critique. The Premier Critique includes two follow-up emails (from you). Use them wisely, take your time in penning your questions to me, and remember that you have a seven day window to ask questions. That means seven days from the time I zip the critique off to you. When you get my report, take a look at the critique and begin assessing it to determine if you need a bit of clarity on a few points. These listed prices do not include a critique on your rewrite, so do not rewrite your submission and send it to me for another assessment. That is not what I mean by two follow-up emails. If you want another critique on what you have done, you will have to purchase a whole separate service again, as I will be spending the same amount of time, if not more time, evaluating the manuscript again. Your two follow-up emails are to provide clarity only regarding what I have written in the report I submit to you, and they are not to be used to garner a new critique of anything you rewrite. Pen a cover letter and tell me a little about yourself. What is your age? What is your favorite genre to read? What is your favorite genre to write in? How many books have you written? This cover letter will be included into a single document with your submission, and all should be double-spaced. This applies to the chapter-by-chapter outline, as well. Use Times New Roman 12-point font. Margins should be one inch all around. Use the Header feature to put your last name and book title in the upper left corner of every page. Insert page numbers in the upper right corner. Files must be in Word (.doc or .docx) format only. Make sure to send a title page (title and author name) along with the manuscript. Do NOT include acknowledgments, copyright page, dedication page, note from author, bibliography, or any other additional pages of material. However, you may like to have your Foreword, Introduction, or Afterword critiqued. If so, please include them. Put your cover letter, manuscript, and chapter-by-chapter outline (when applicable) all in one double-spaced document. But wait! Before you press that Send button, have you done your absolute best at providing the last-best-effort copy of your submission? If the answer is yes, send away, and welcome to a whole new level of writing.